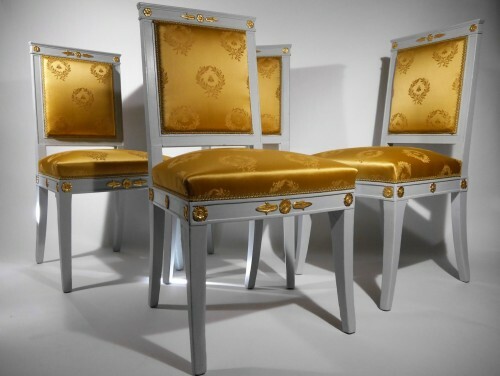 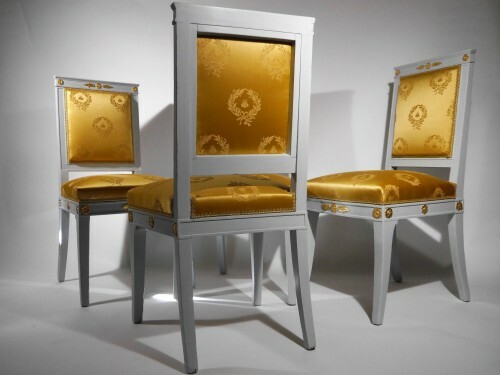 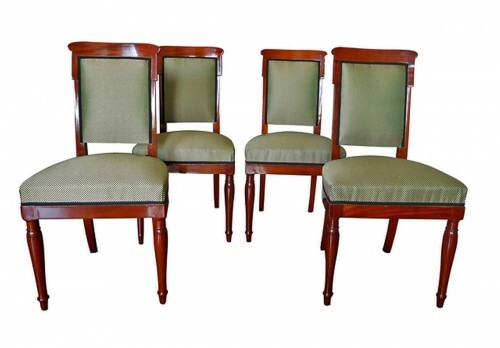 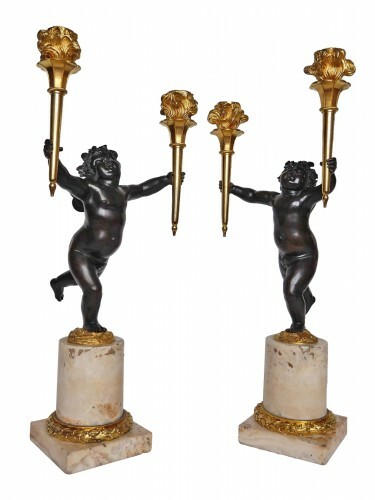 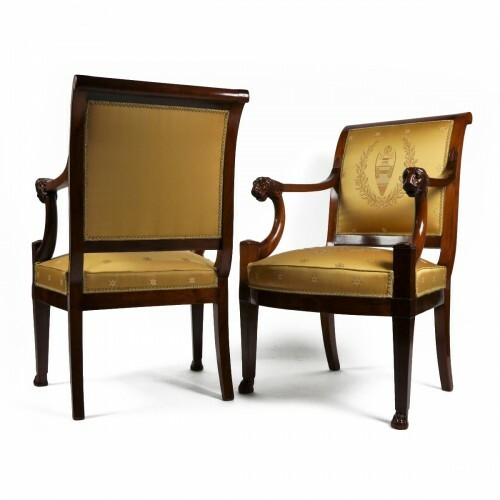 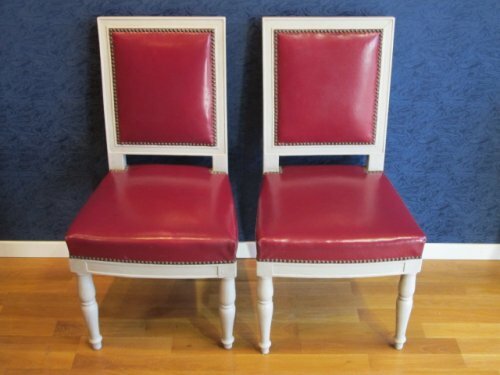 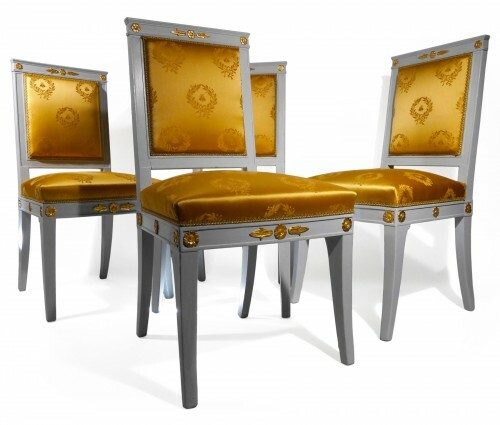 Set of 4 lacquered and gilt beech chairs from the end of the Empire era, stamped Iacob. Decorated with palmettes and rosettes in gilt wood, these chairs represent perfectly the fashionable taste during the 1810-1820s. 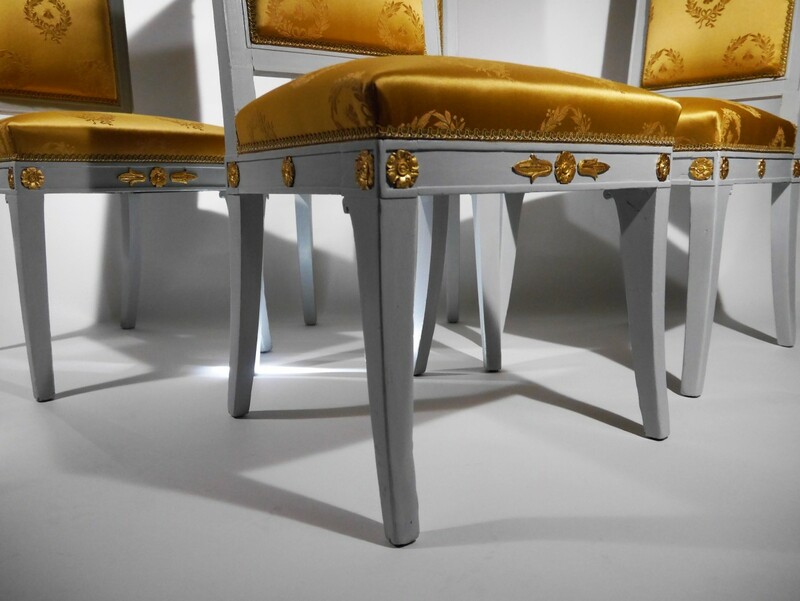 The Grand Trianon keeps 10 chairs of the same invoice delivered for the Castle of St Cloud (inventory of 1824). 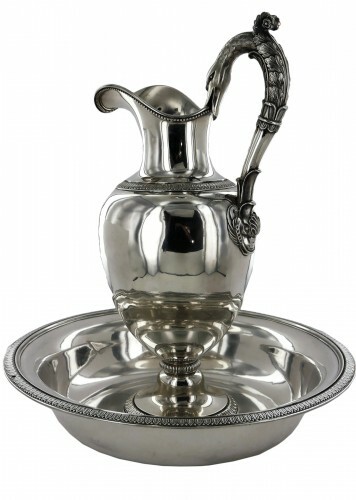 The stamp used is that one of François-Honoré-Georges Jacob, between 1813 and 1825. 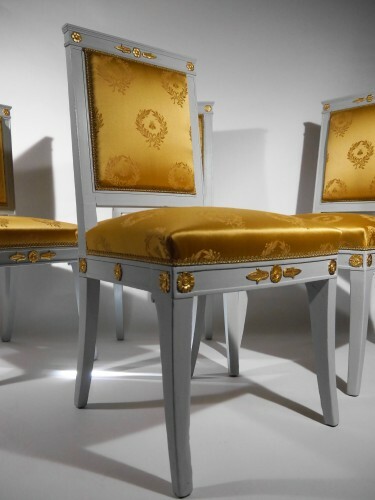 Condition report: Restored in our workshop in January 2019. Leaf gilding. 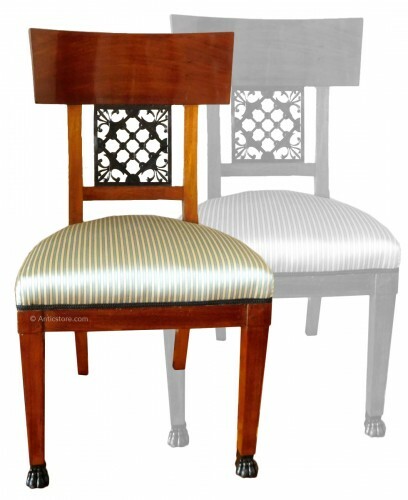 Upholstery and trim are new.